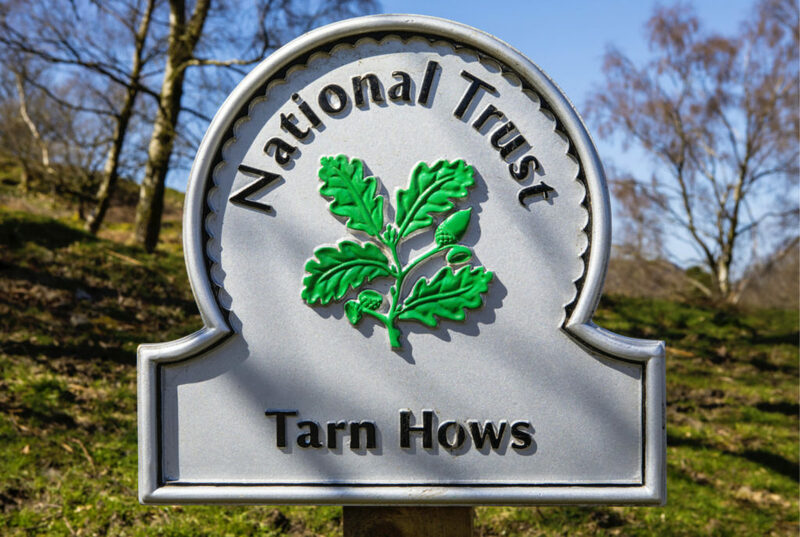 The National Trust is an independent charity in the UK which preserves historic spaces. They fund the conservation of environments and heritage through entrance fees and gift shop and restaurant revenue from visitors at the sites that they operate. Frequent visitors can pay for a National Trust membership instead of paying the entrance fees at hundreds of National Trust properties throughout the UK. These include historic houses, gardens, and monuments. Members simply present their National Trust card to gain access to the site and use the car park for no additional cost. Member access also extends to sites operated by partner organizations around the world. However, without your card, you must pay the entrance fee even if you are currently a member. You should contact the National Trust to get a replacement if you lose your card or it gets stolen. You can also get a replacement if your card is damaged. Any members who are over 13 years old can register for a My National Trust account on the website. 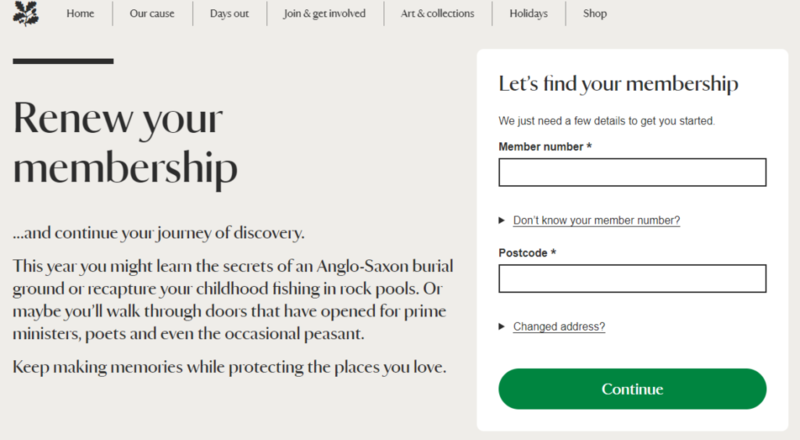 Members can then sign in to manage their National Trust account, including payments and personal details. You can request a replacement membership card or car sticker through your online account. Car stickers are no longer necessary to park for free in National Trust car parks. All you need is your membership card. If there is a “Renew” button next to your membership details, then it is due for renewal. 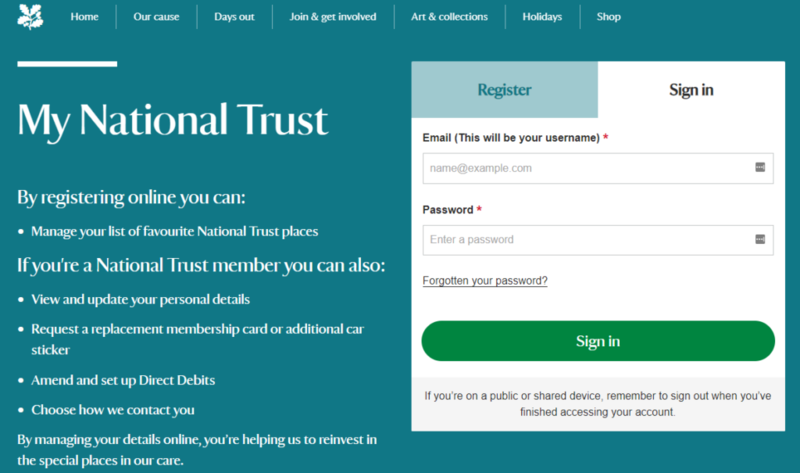 This will appear 3 months before your membership expiry date, and you will not be able to request a replacement National Trust membership card online during this period of time. You can click to renew your membership and then order a replacement card, or go directly to renew your annual membership online here. The National Trust does not send out a new card every year of renewal, so you will still have to request a replacement card if you need one. If this option still does not appear in your account, then you will have to contact the National Trust in another way instead. You can contact them online or over the telephone. The National Trust phone lines are open from 9am to 5.30pm on weekdays but close at 4pm on weekends. Outside of these times, you can live chat with someone from the National Trust between 8am to 7.45pm on weekdays, and 9am to 4.45pm on weekends. You cannot order replacement cards for junior or lifetime memberships through your My National Trust account. For these membership types, you will have to either call on the phone or do a live chat. There are several different types of National Trust membership at varying monthly or annual prices. These include individual, joint, family, lifetime, senior, and junior memberships. Members can pay by monthly Direct Debit or in one lump sum. Whichever type of membership you have and whichever payment method you prefer, the National Trust should not charge you for a replacement card. All you have to do is request the replacement card and they will send it to you in the post for free. However, this only applies to the first time you lose your membership card and request a replacement. If you do so more than once, then they might charge a small administration fee. When you first sign up as a National Trust member, it can take up to a month to receive your welcome pack. They will send a temporary membership card by e-mail which will usually be valid for the next 3 months. Contact the National Trust to ask for a replacement temporary card if you lose the e-mail or did not receive it. There should not be any further cost for this. Call the National Trust on 0843 208 4472 if you have lost your membership card. Listen to the message and then press 4 for other enquiries. It will connect you to a National Trust adviser as soon as one is available to talk to you. The adviser can assist you by arranging for a replacement card to be sent out in the post. Call back to track your replacement card if it is taking a long time to get to you. Remember that you will need to provide your membership number to request a new card. You can find this in e-mails, letters, and your welcome pack from the National Trust. If the card that you have lost is a gift card, then unfortunately you will not be able to get a replacement of its value.